You can pirate music from anywhere these days, but this October you can get a close-up of your favorites – loot free! 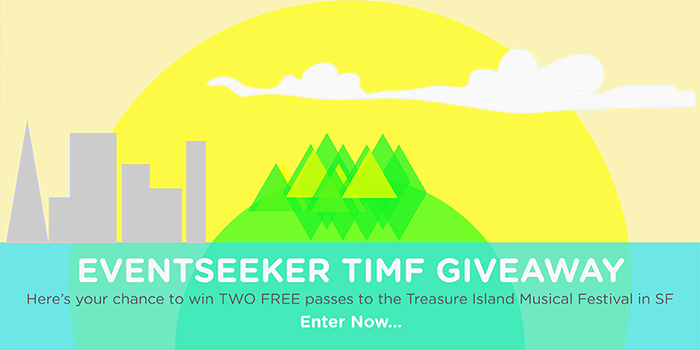 We’re giving away TWO FREE PASSES to the Treasure Island Musical Festival in San Francisco, put on by the lovely people at Noise Pop and Another Planet Entertainment on October 19th-20th. 3. Tag the first mate you’d bring along for a chance to win! *Follow this contest on our Twitter, Tumblr and Instagram feeds! Don’t miss out on this amazing lineup and if you need a reminder of why this festival is going to be such a treasure, give our playlist a whirl. Now go WIN yourself some tickets!